The evangelistic deterioration of churches across North America has been a reality for decades. There is a lot of bad news out there showing that churches are not reaching people with the gospel. But there is good news, too. My team recently looked at data from a random sample of 1,000 Southern Baptist churches to see what happened in those churches from 2013 to 2016. We found 65 percent of churches are either declining or plateaued—56 percent are in absolute decline and 9 percent are plateaued. That means 35 percent of churches are growing in worship attendance. Here are some highlights of what we learned from this study. You can find more insights from this study at EvangelismRenewal.com. It should come as no surprise that we found evangelism does not happen unless the church is intentional about it. Effective evangelistic churches are intentional with their community outreach efforts and in their personal relationships. I believe there is hope for any church and pastor seeking to turn things around evangelistically—no matter the size. At the first church I pastored, we started with an attendance of seven. We had no programs or money. All I had was the Holy Spirit giving me opportunities to share the gospel. The turnaround started with me leading one person to Christ. Others in the congregation began to do the same. After one year, the attendance had grown to nearly 70. It wasn’t money or the latest fad. It was just obedience. 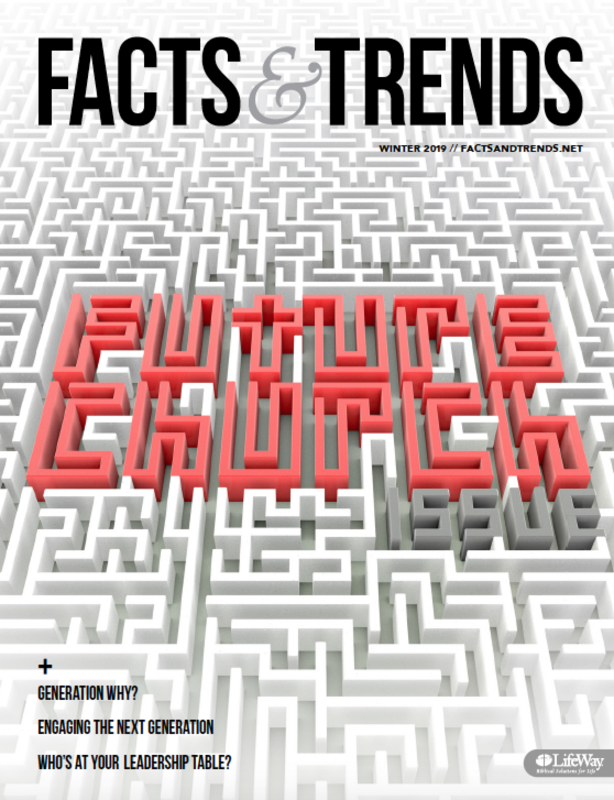 I believe this research project of growing churches is one of the most exciting my team has conducted. This is the type of project that can point church leaders to true evangelistic renewal and health for the future. Based on the data and interviews with church leaders, we were able to discover key traits of effective evangelistic churches. That information is available at EvangelismRenewal.com. You’ll also find resources to help your church become more evangelistically effective. It is my prayer that the research, the website, and the resources will spark millions of gospel conversations that God will use to bring about the conversion of men and women, boys and girls. I am praying God will lead our churches to an evangelism renewal. THOM S. RAINER (@ThomRainer) is President and CEO of LifeWay Christian Resources. Read more at ThomRainer.com.